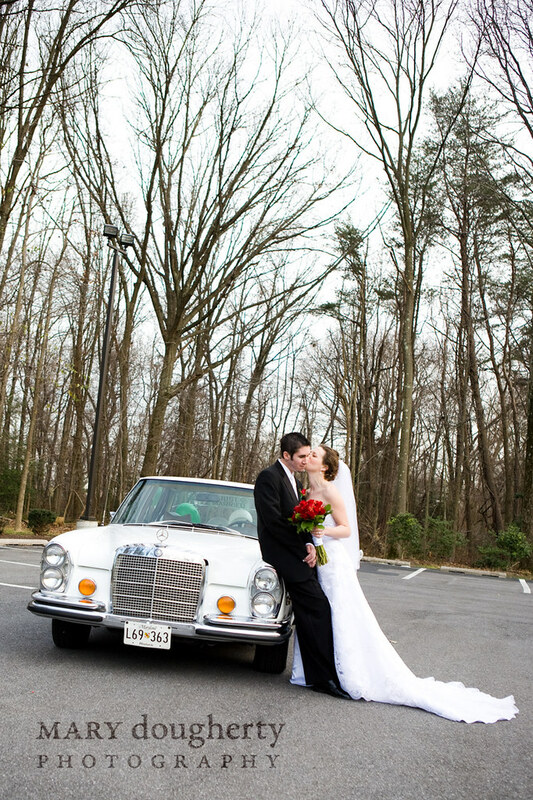 About a year ago I met up with Andrew + Arryn in Java 101 to talk about their wedding plans. 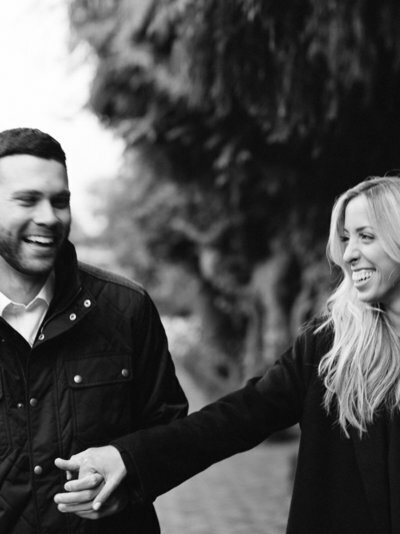 They were relaxed, creative and planning a day that was focused on their commitment to each other and the friends and family that support them. 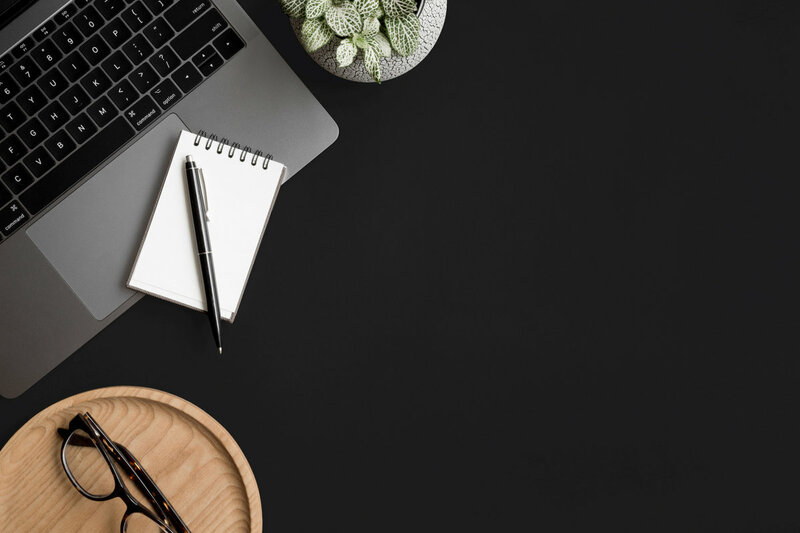 That can be a hard thing to do in the world of wedding planning; it is all to easy to let things get out of control and forget where you are in the first place. If that ever happened to Arryn and Andrew it didn’t show. 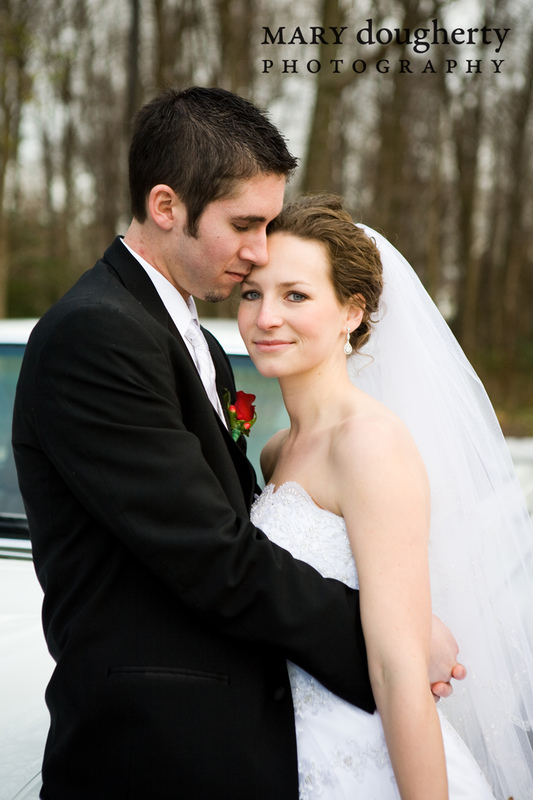 I looked forward to their wedding from our first meeting until I headed up to Maryland in mid December for the big day. 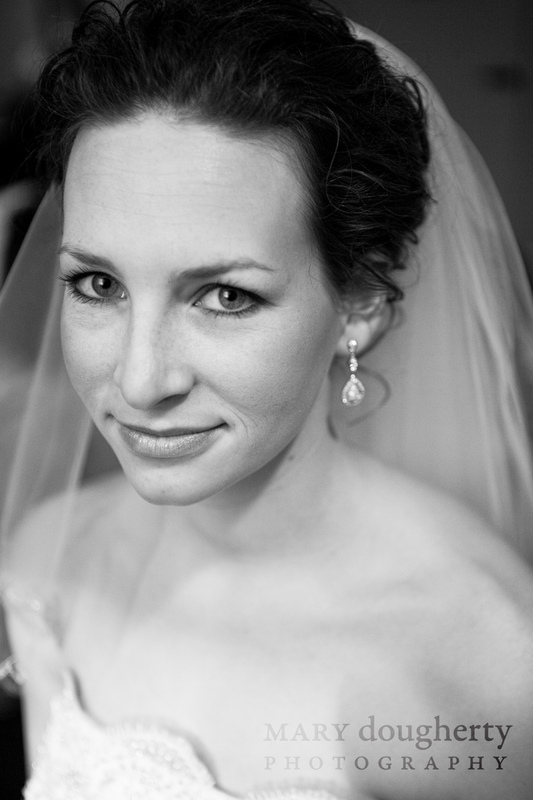 Arryn was an art major and more specifically a ceramicist, but she is an all around creative person and it showed at the wedding. In the collection of details above, let me walk you through the decorations and details she incorporated. 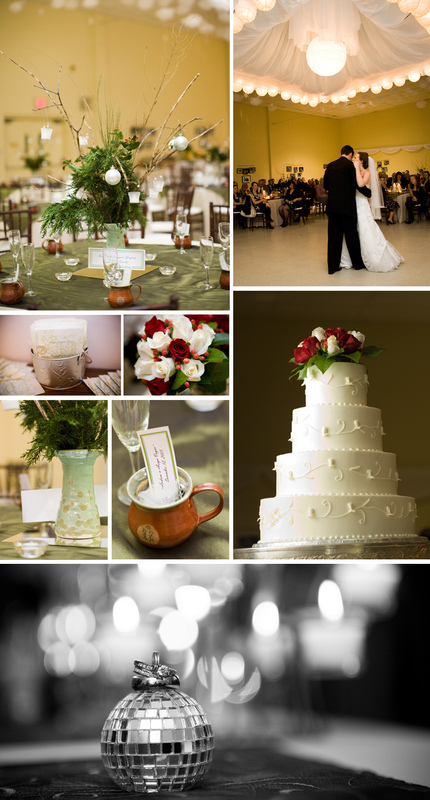 The colors were red and green with an all around wintery vibe, so the tables were decorated with evergreen and berries in vases that she made. As a favor to all of the guests, she made the mugs you see pictured – each and everyone of them, which I think totaled 125 at least. One of my favorite parts of the decorations was the dropped chandelier/ceiling you see in the dancing photo. 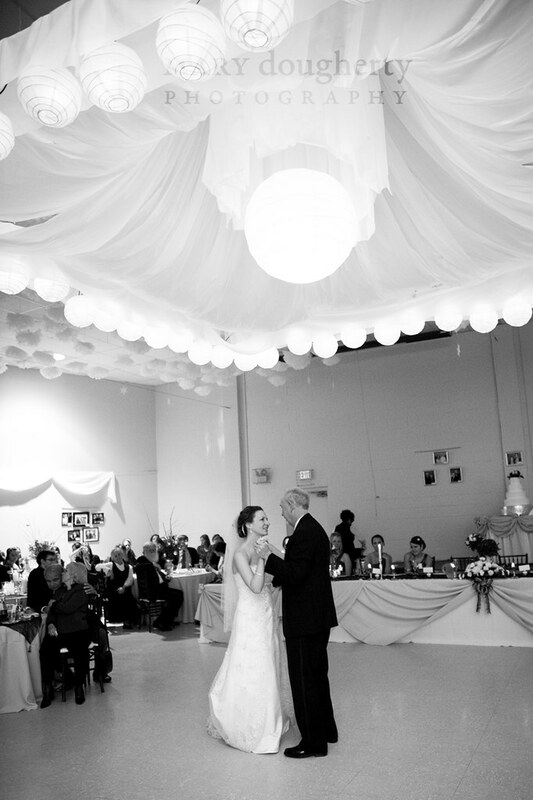 It was lined with lanterns and draped with fabric and totally transformed the room. We’ll have to see if we can get a tutorial from Arryn on how she made it, but first on to the wedding day… (update: I’ve learned that Andrew + Nate Gerard engineered the construction of the ceiling, and it was a family project that everyone contributed to- great job everyone!). 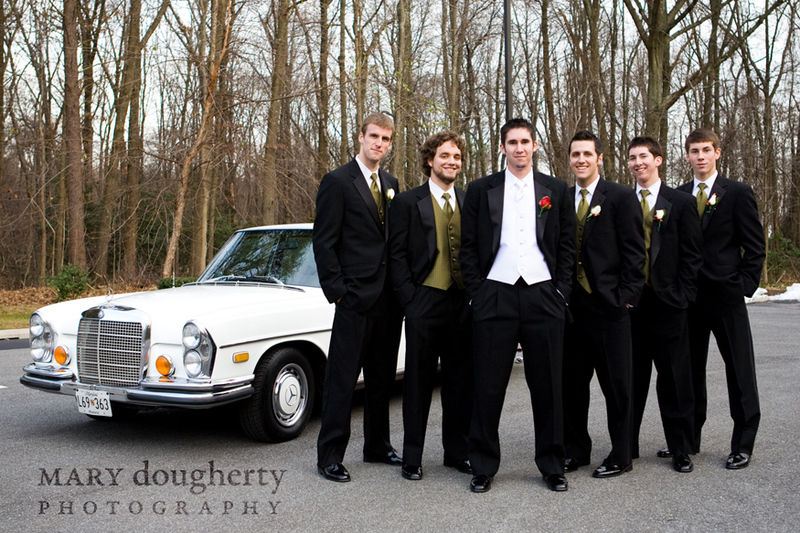 Looking fabulous, Arryn got ready with her bridesmaids and mom nearby. The yellow room they were in was perfect to light and cast a soft warm glow – getting ready rooms are usually tricky to work with but this one was an exception. See the ceiling that I’m talking about? Honestly it was perfect for their reception and I’m so impressed. As much as the wedding was about them (as it should be) it was also about everyone who is in their lives. As a statement of marriages that have gone before them, they hung photos of couples and the years they’ve been married around the room. 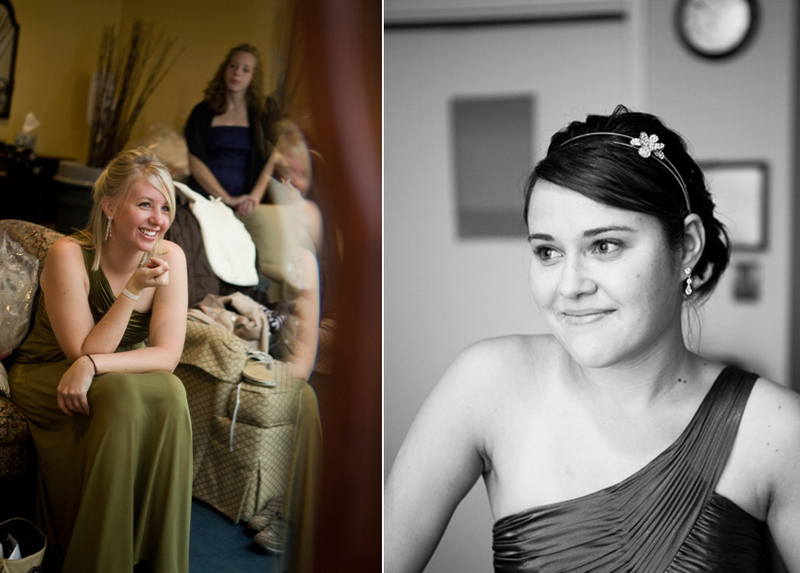 There is also nothing like friends at a wedding, and so I love the two pictures below, and all the others like them. The evening finished off with cake and giving away the bouquet to Arryn’s grandmother. 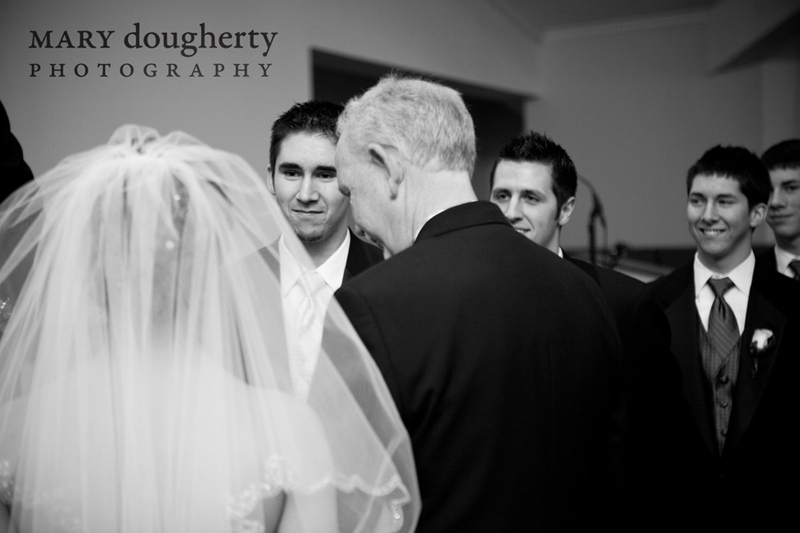 Looking at the picture below makes me think of family moments that you pass down through generations. It is so fun to witness and share these events, so once again thanks to Arryn + Andrew and all of the family and friends involved in the day. To see the complete set of photos go here and enter their last name for the password (You must also create a profile first for login). I’m sure they would like a nice large print to display in their home so leave a comment to help earn one for free! (20 comments=11×14, 40 comments=16×24). I too love the ceiling effect! so pretty! 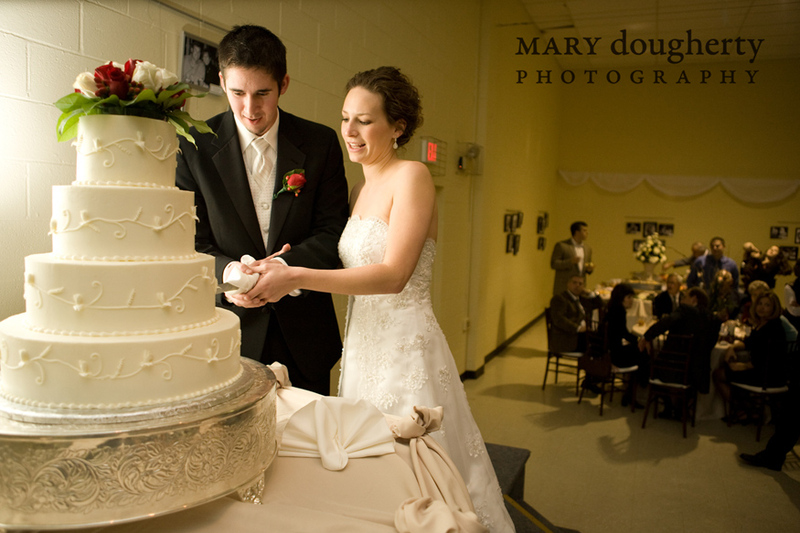 Nice job on the photos Mary! I’ve been so excited for this post and, of course, it did not disappoint. My eyes are welling with tears (again!) 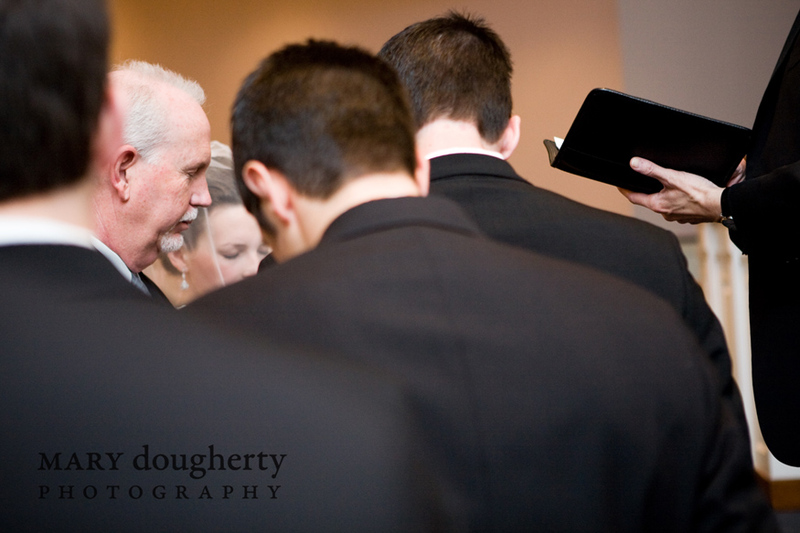 at the photos of Andrew looking at her walking with her dad, singing to her during the ceremony, her singing to him during the first dance… also love the one of Alaina & Arryn! Haha–I can imagine the dialogue! Beautiful, Mary! I’m sure the new couple is ecstatic. Arryn is so gorgeous and I think if they do earn the large print, they should choose the largest portrait of them in this post–where his arms are around her and she is looking at the camera–I have to say that one is my favorite. where to begin my comment…i love this post! 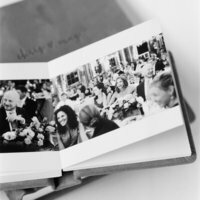 diving past the fact that the photos are amazing as usual and a great way to tell the story for one who was either there or not…i absolutely love the details in this wedding! way to go aaryn. 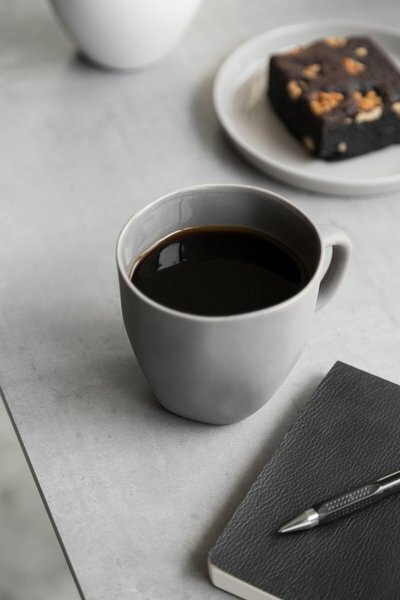 first off, the ceramic ware (i saw the cups and vases and thought, someone involved must have a serious connection with a potters wheel). 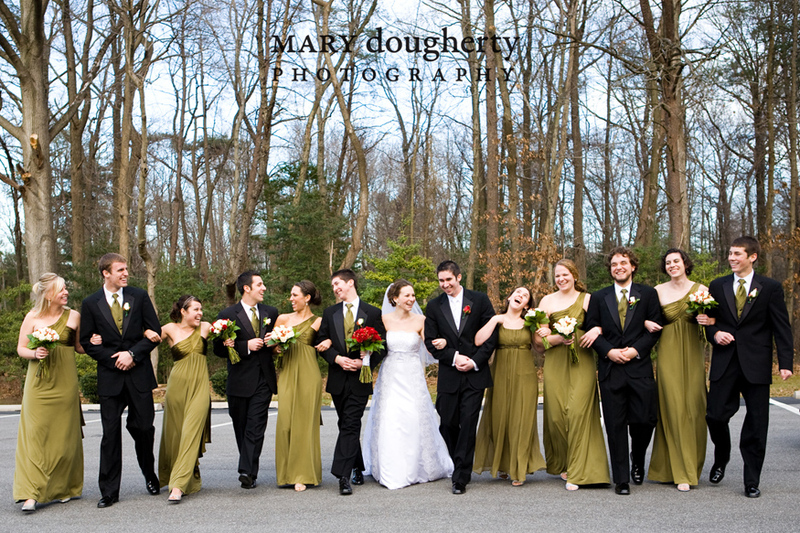 and the bridemaids’ dresses are unlike a style i’ve ever seen–awesome! (perhaps i’m just not stylish enough, but either way…) the ceiling, yes. totally transformed the room into a glamourous venue. and yes, i love the cake, the dress, the car, the grandmas, the everything! love it love it! beautiful photos and an inspirational and unique wedding from details to the more traditional aspects! I sure hope this couple earns the large print!!! 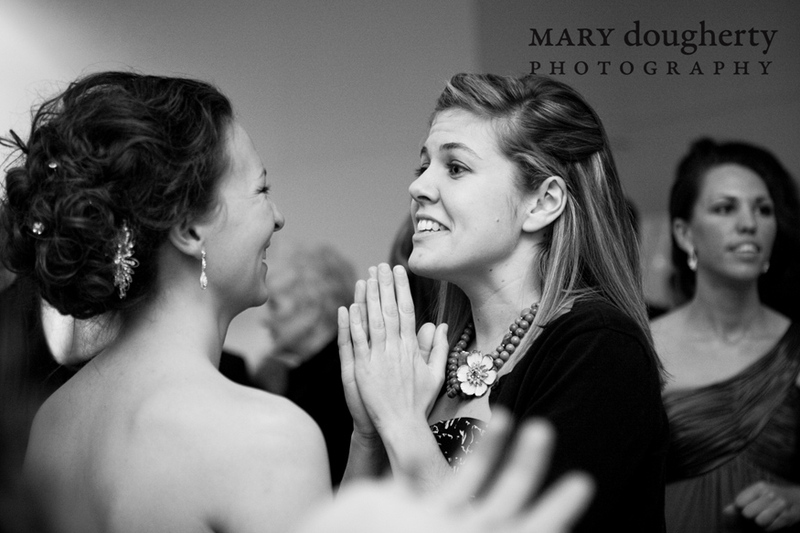 I think this is one of my favorite weddings you’ve shot, mary, but of course i say that just about every wedding. The bride and groom did a fantastic job incorporating everything into a beautiful artsy look and i love the idea of hanging pictures of couples around the room! 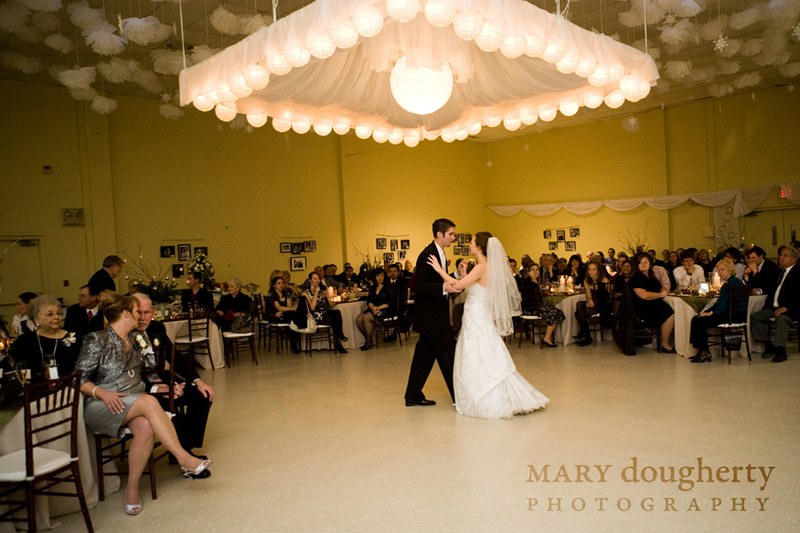 it looks like they absolutely transformed their reception site into this elegant ballroom! you did an amazing job too with the car photos. love those tons. Goodness, that dropped ceiling is fantastic! Also love the thoughtful idea of the personal mugs. 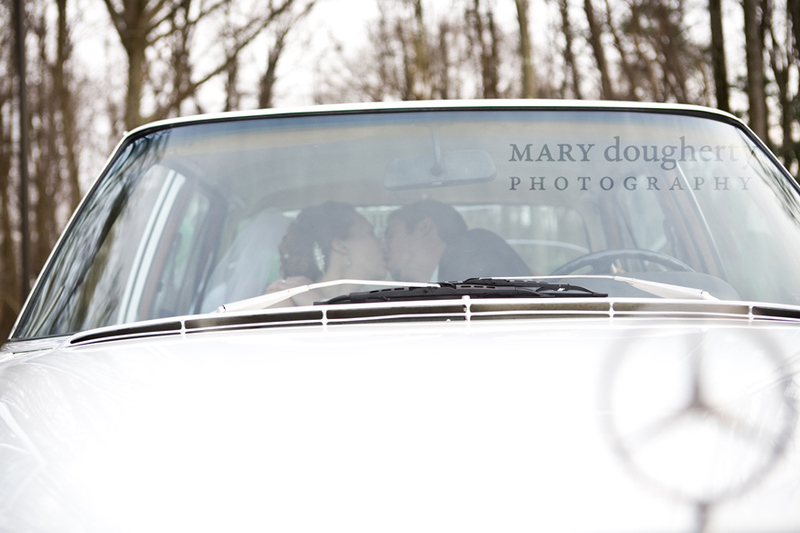 I just need to say that the photo out by the car of the couple, where she is looking into the camera… WOW. It’s defintely my favorite of the series, though the whole day looks amazing through your lens. These are beautiful! Arryn did an amazing job with detail and you did a wonderful job capturing it. Wonderful pictures. I love that you did both color and black and white! 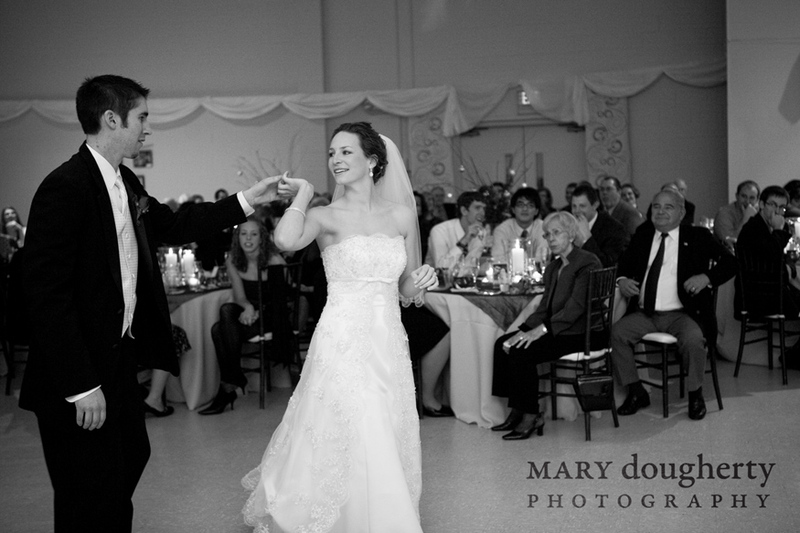 This was such a beautiful and fun wedding. The pictures definitely capture that. 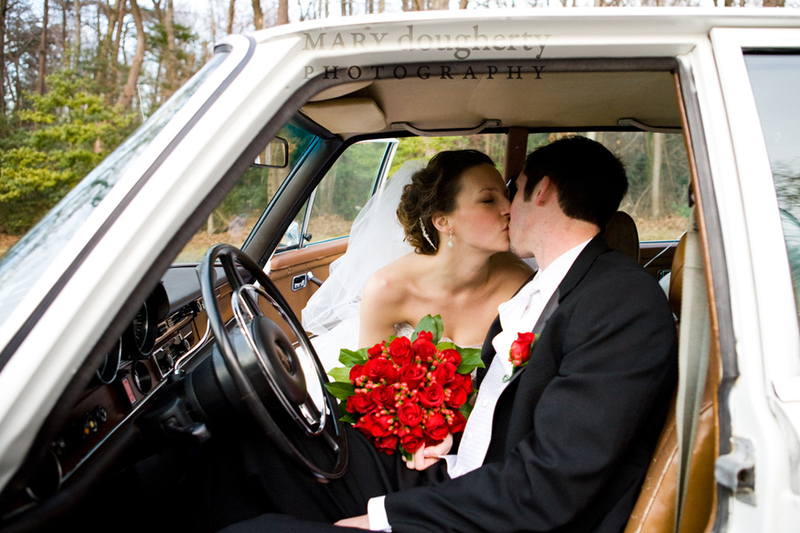 Aw these pictures are beautiful just like this couple : ) I loved all of them. Congrats guys! 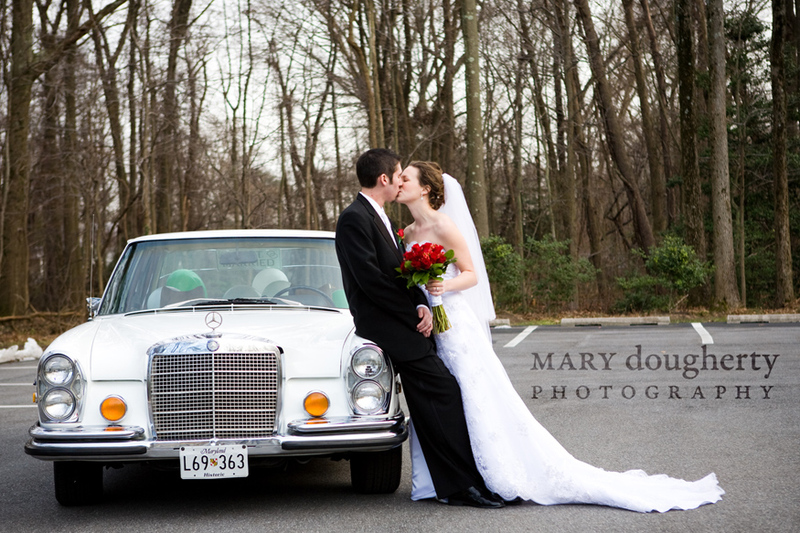 Mary – as I have said I could not be happier with our pictures! You are such a talented photographer. 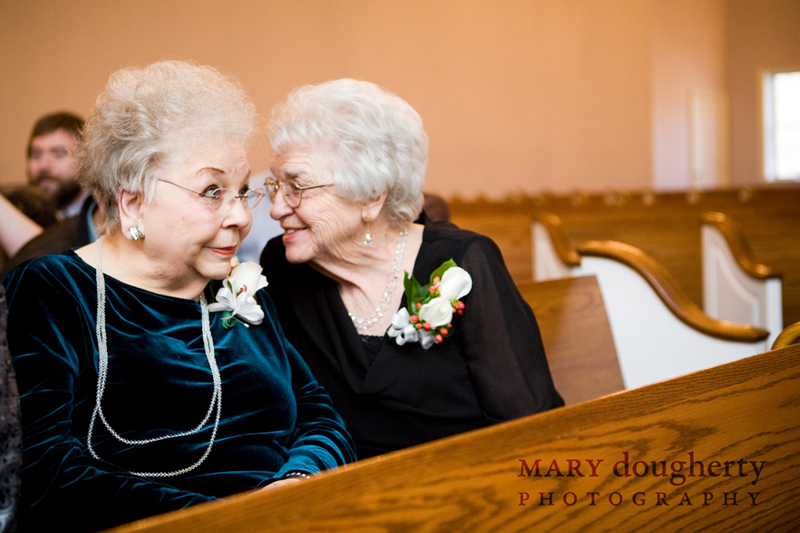 I just wanted to say I absolutely LOVE the picture of my two Grandmothers!!! I think it is so adorable and I am so glad you caught that on your camera! 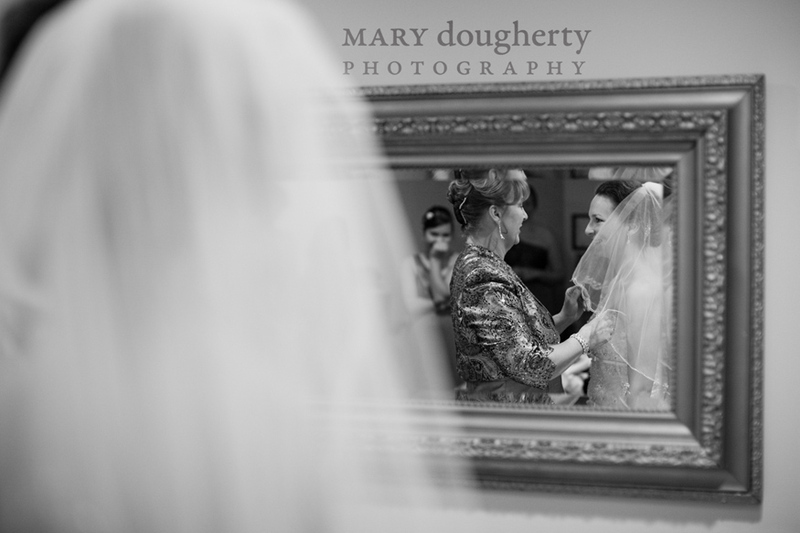 Mary – What a wonderful documentation of Arryn and Andrew’s wedding day! You are so creative in composing photos. Beautiful pictures. 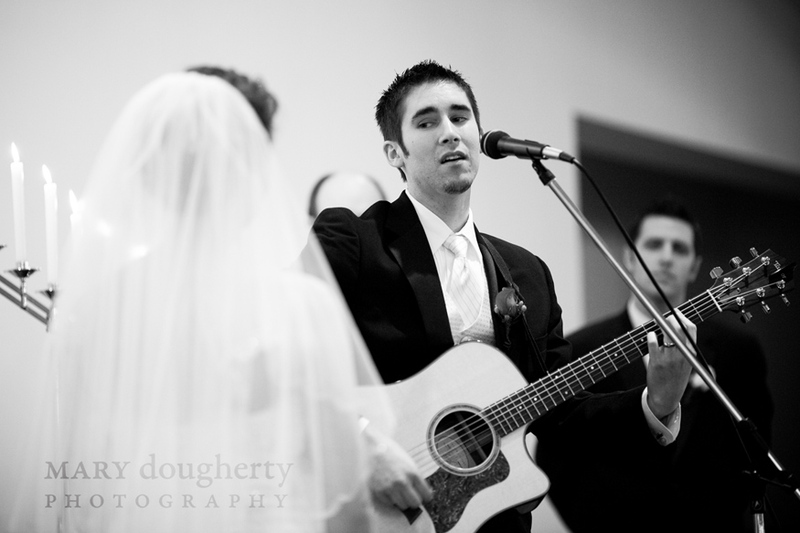 I especially love the look on Arryn’s face while Andrew is singing to her during the ceremony. 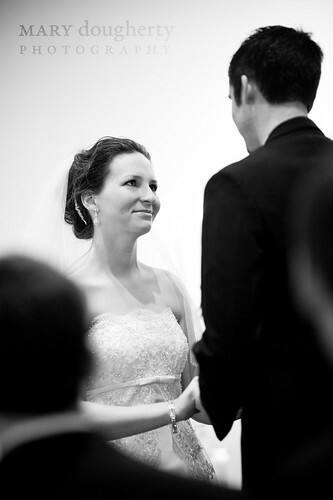 Sharpness, clarity, color, and love make this a fantastic wedding album. Dave and I were honored to be part of your special day. Beautiful! it must have been a little warmer than Jan. 2nd lol I love the pictures of the details, especially the rings! 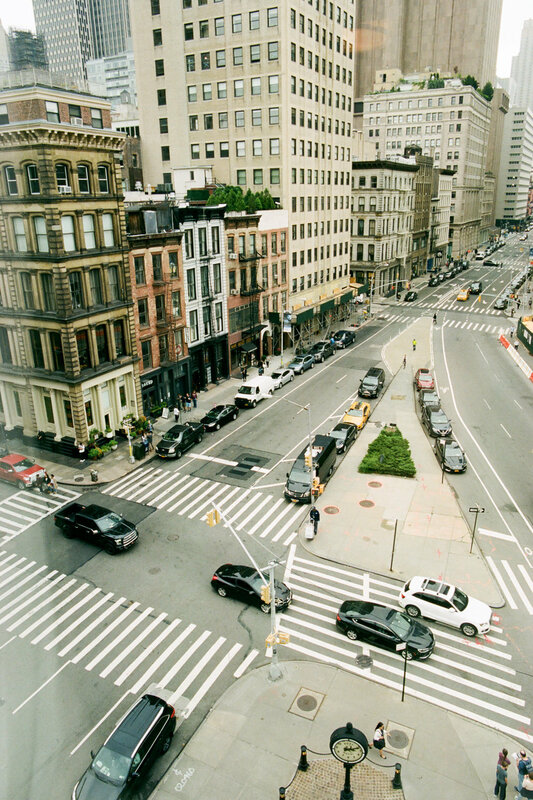 Pictures are GORGEOUS! I love Arryn to bits and you really captured her personality. Fabulous job! 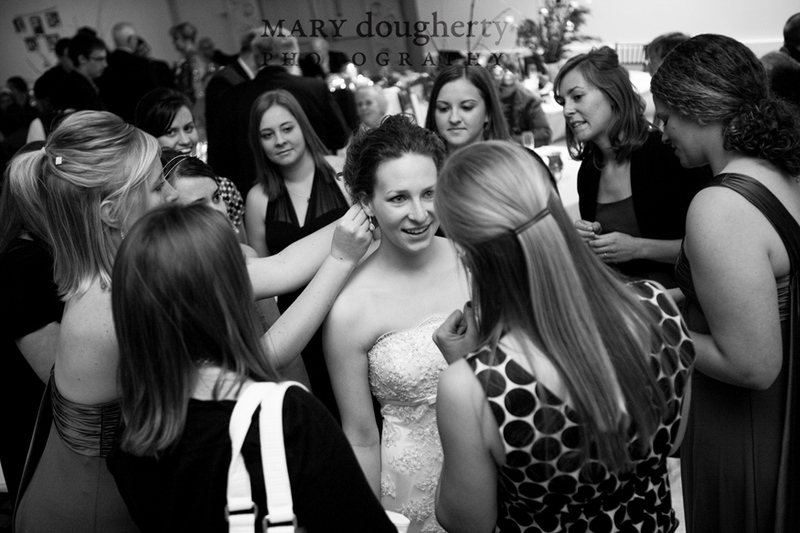 Mary,thank you for the fabulous job you did on the wedding. You are a true artist. It’s too hard for me to choose a favorite. 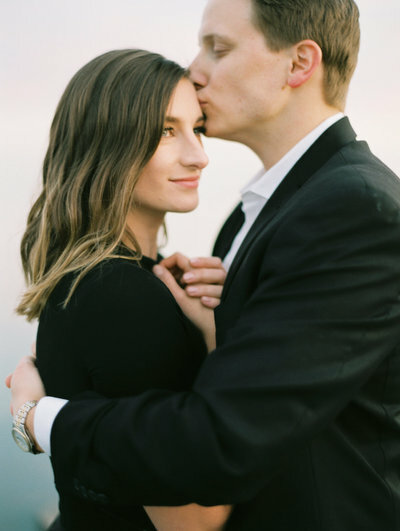 I’m so glad you were avaialable to be our photographer because after the day is over, what you have left is the memories and the PHOTOS–and they are perfect! You were also lovely to work with–very patient, kind and gracious. I wish you much success. What beautiful photo-capture of a lovely event. The pictures make me think I could have seen and enjoyed it all without being there in person …but I’m glad I was. Beatiful couple and a beautiful day. Fantastic photos! So many fabulous pics! Arryn, you are incredibly creative and talented. 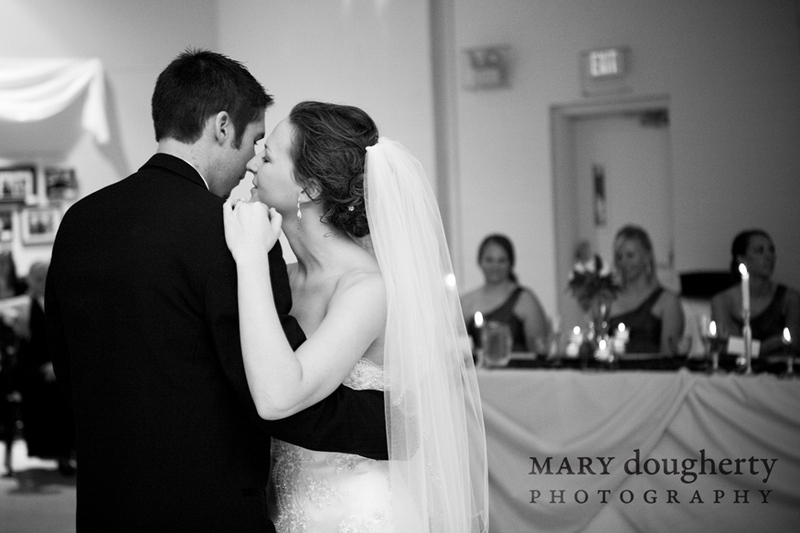 I still can’t get over how you transformed the reception room into something so beautiful. But, you were even more beautiful! What a lovely couple in every way. Uncle Maran and I are looking forward to getting to know Andrew in the future. What a wonderful day! 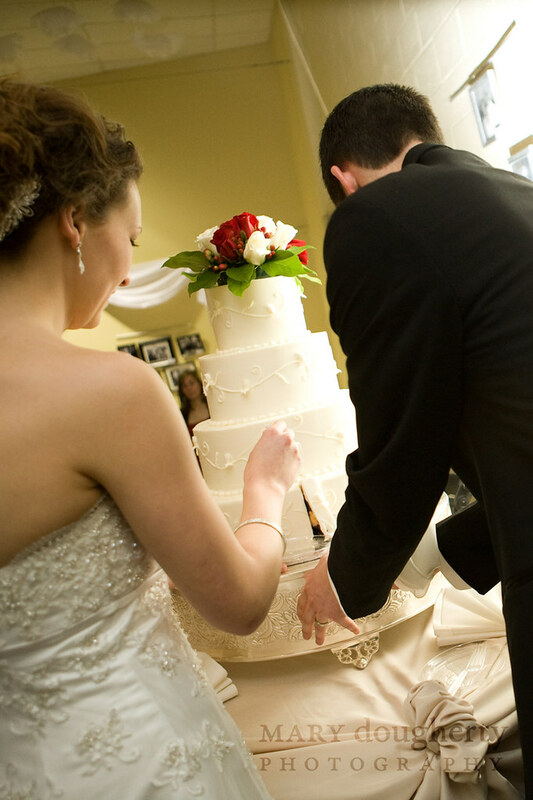 Thank you for allowing us to share in celebrating the covenant you have both made together in God! Arryn… you are so beautiful. As were Grammy, your mom and your bridesmaids. What an all around AMAZING day! We look forward to getting to know Andrew and truely welcoming him into the extended family! Abundant blessings!!! BEAUTIFUL pics!!! What a great day. There are so many great ones that I just can’t decide which is my favorite!